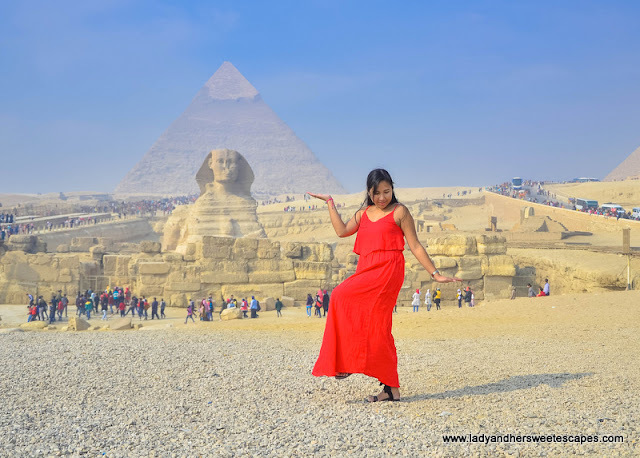 Home » 20 before 2020 , Africa , Cairo , Egypt , Pyramids of Giza , Sweet Escapes in Egypt , Travel , Travel Videos , Travel Vlog , Video Diaries » Cairo Travel Vlog #1: The Pyramids! Finally! 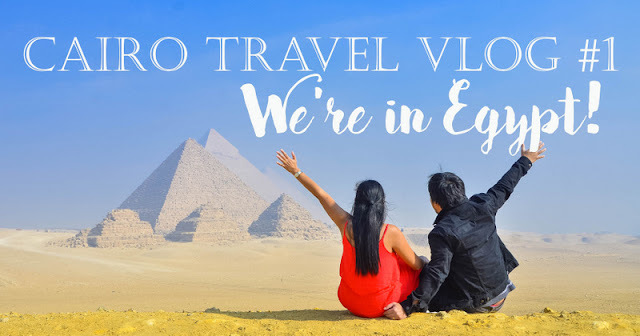 Cairo Travel Vlog #1: The Pyramids! Finally! So, we finally made it happen! After several years of dreaming and planning, Ed and I decided that it's about time to fulfill our long time travel wish! We traveled to Cairo during the recent 3-day holiday. And yes, I was able to tick off #15 in my 20 before 2020 list. That is to do the Walk like an Egyptian pose in the Pyramids of Giza! Hahah! All the old paintings on the tombs, they do the sand dance. Don't you know? Walk like an Egyptian! Kidding aside, I have been dreaming to see the only remaining wonder of the ancient world! Needless to say, it's beyond amazing! Watch what happened on our first day in Egypt in our Cairo Travel Vlog #1 below! Thanks to Emo Tours and to our guide Mohammed for the memorable and comfortable day trip! Stay tuned for more travel videos and blog posts!